Special Kinda Madness perform a truly authentic set from each band, combining the phenomenally energetic stage presence of The Specials with the wonderful iconic tunes of the Madness ‘Nutty Boys’. With Special Kinda Madness you get a Madness tribute band and a Special tribute band on the same stage! 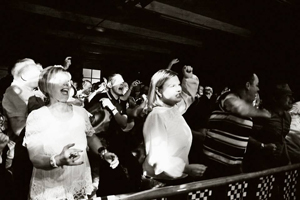 Playing a set from each band and producing a show that will have the audience up and dancing from the off, Special Kinda Madness will have everyone hankering after that exciting era of 2-Tone and ska. This band are absolutely amazing – had everyone on their feet from the off!! This is the second time we have booked them and they will definitely be back! A truly wonderful evening – great atmosphere – great musicianship!!! Madness have been a favourite band of the British public ever since their early days as part of the 2-Tone movement. Although they moved away from 2-Tone as a record label for their 2nd album, they are still loved by rude boys and rude girls across the UK. Their ‘nutty’ sense of humour and their longevity as a band has won them a place in the hearts of many. Oh, and their incredible knack of producing memorable songs time after time. They have now picked up a new generation of fans after being invited to play on the roof of Buckingham Palace as part of the Queen’s Jubilee in 2012, and also at the London 2012 Olympic opening ceremony. Surely knighthoods are now in the offing for the Nutty Boys of Camden Town? On 21st July 1979 at the Electric Ballroom in London, the Specials played a gig with Madness, Dexy’s Midnight Runners and Selecter. That’s a gig that all 2-Tone rude boys and rude girls would die to see, and thought would never happen. The Specials and Madness on the same bill! In truth, it will probably never happen now … but you can get the next best thing with Special Kinda Madness! A Madness Tribute Band and a Specials Tribute Band, all on one stage.